Fixed Roof cover fitted to deck area. Fabricated out of aluminium post and glazed in 10mm grey tinted twin wall polycarb. 2500mm long by 3300mm wide. 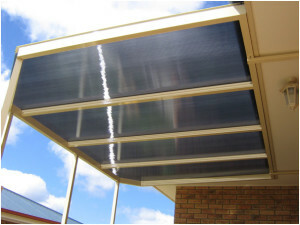 Fixed roof covers can be custom made to suit any deck area. 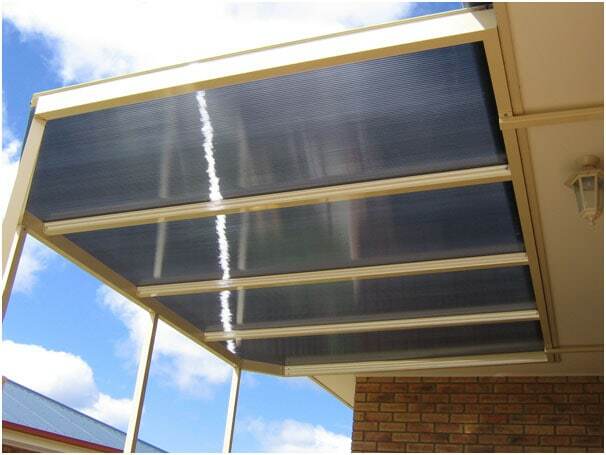 The aluminium frame is available in a wide range of powder coat finishes and glazed in either twin wall polycarb or glass.